This is the aftermath of Ingrid’s annual cookie party. With cookies made, the group comes 1 block over to our house to eat pizza and relax. Of course, the boys have been here all day during the party hanging out. 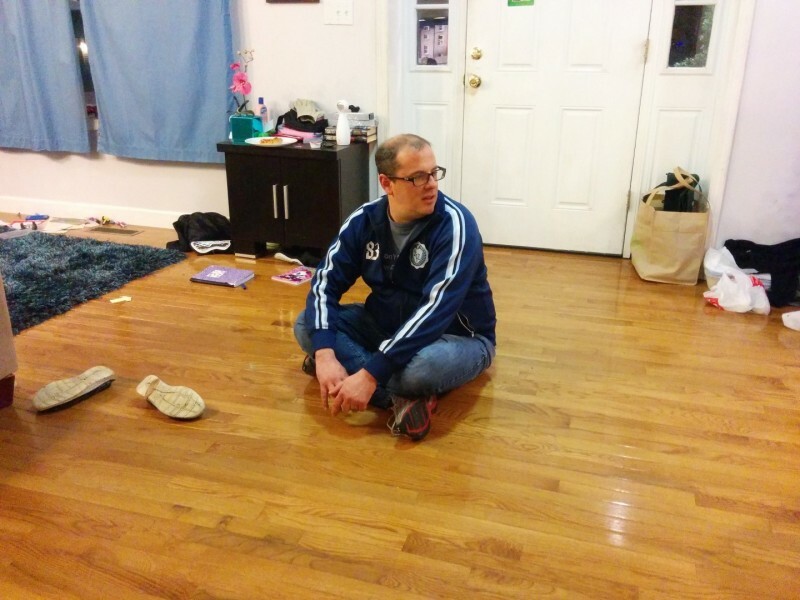 Ryan sat on the floor doing his best to get Rori and Maddie to warm up to the rest of us. 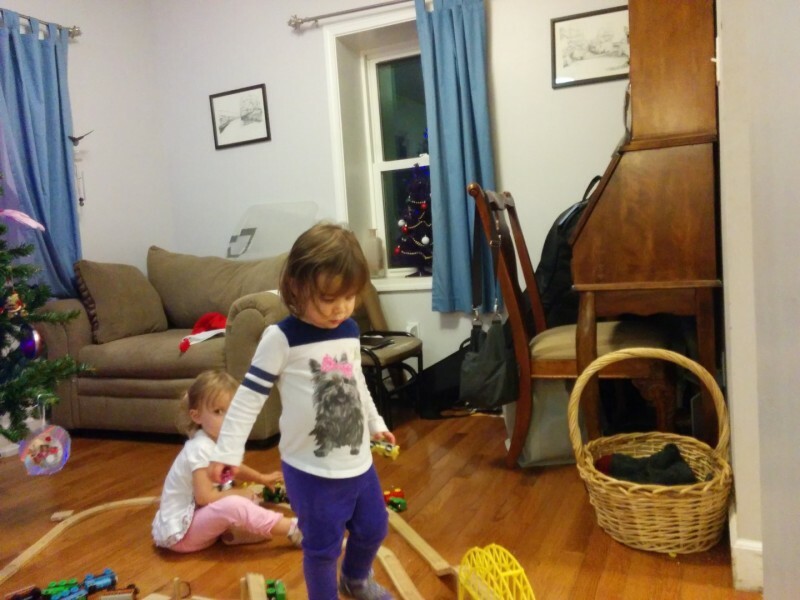 While it took a little bit, the girls gave in and started to play with all of us. 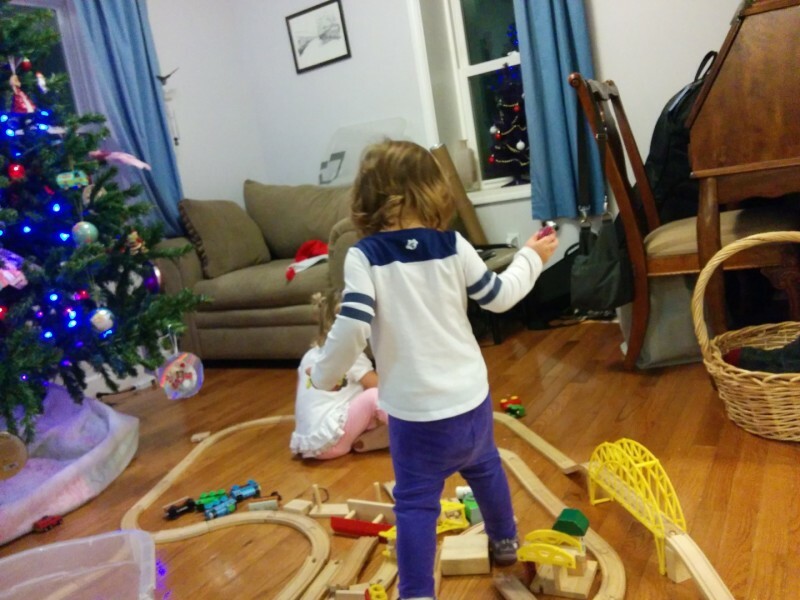 Ok, and maybe the trains helped too! It was a great end to a day. Cookies and happy families! 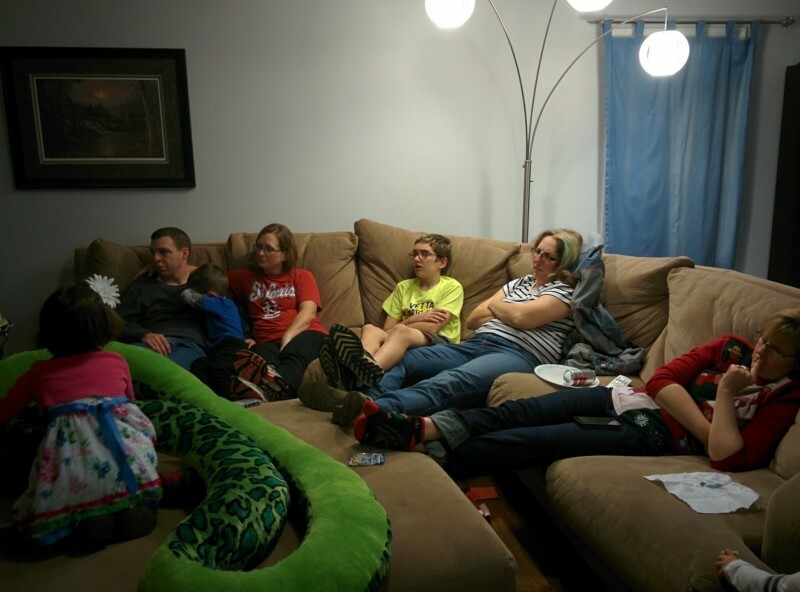 This entry was posted in Family, General and tagged Maddi, Rori, Ryan McMurray. Bookmark the permalink.